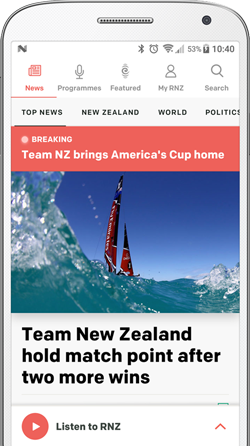 Rio 2016 Olympics - Nine of New Zealand's 15 medals at the Rio Olympics have been won by women. But, lest we forget, the coverage of women's sport is not always just about their performance. Megan Whelan rounds up some examples. Let's start here at home. 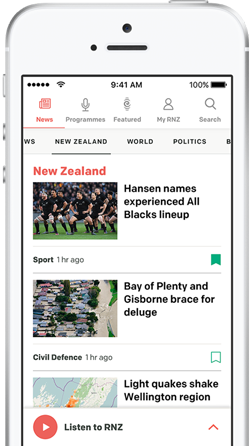 After Tomas Walsh won bronze in the men's shot put, the New Zealand Herald headlined its story with "Walsh becomes first Kiwi to medal in Olympic field event". That's unless you count Valerie Adams just a week ago. Or, in fact, Yvette Williams, New Zealand's first ever woman Olympic gold medallist, and long jump world record holder from February 1954 to September 1955. Walsh is the first New Zealand man to win a medal in the Olympic field events. The Herald corrected their mistake quickly. The Chicago Tribune has been widely criticised for a tweet, in which they referred to three-time Olympian Corey Cogdell-Unrein not by her name or her achievements, but as the "wife of a Bears' lineman". The newspaper later apologised, saying Cogdell-Unrein is "awesome on her own" and that they "focused too hard on trying to emphasize the local connection [she] has to Chicago". The Tribune wasn't the only one to get in trouble on Twitter. After Netherlands cyclist Annemiek van Vleuten crashed in the road race, she tweeted to say she had some injuries and fractures but would be fine. "Most of all super disappointed after best race of my career." In a now-deleted Tweet, "Martin A Betancourt" replied "first lesson in bicycling, keep your bike steady… whether fast or slow". That prompted choruses of "mate, she's an Olympic cyclist. She probably already knows". American swimmer Michael Phelps is retiring with 28 medals, the most decorated Olympian of all time. So he's pretty good headline fodder. Still, you'd think Katie Ledecky - herself a five-time medallist - smashing her own record in the 800 metres freestyle could get her top billing. Cambridge University analysed millions of words relating to men and women, and how they're described at the Olympics. "Language around women in sport focuses disproportionately on the appearance, clothes and personal lives of women," they found, "highlighting a greater emphasis on aesthetics over athletics." It also found that the words used for men's sport include more dominant words, like "mastermind", "win" and "battle," where women "strive" and "participate". That's nothing on the BBC commentator who referred to a women's judo final as a "catfight". The US' Dana Vollmer won two gold medals in the pool at the Olympics - and just 17 months after giving birth to her son. The toll pregnancy and childbirth take on a woman's body, and coming back from that to perform at the highest level, means that is a relevant thing to mention - just maybe not in every single headline. In the Sevens final, the Sky Sport commentator also referred to one of New Zealand's players as "the only mother in the team". Hungarian swimmer Katinka Hosszu broke the world record when she won the 400 metre individual medley. In a possible attempt to praise her coach and husband, Shane Tusup, NBC's Dan Hicks referred to him as "the man responsible" for her performance. As South Africa's Sunette Viljoen threw for the gold medal in the javelin (she won silver), the commentator was less interested in her performance and more on how it would make her coach feel. "She's got a silver medal, but now he's got a chance for gold. Now, can Viljoen take this home to South Africa? It'd make a very happy man in Terseus Liebenberg, you can be sure." Spare a thought for the US' Gabby Douglas. She didn't have a great Games, winning the gold medal in the team event, but failing to defend her 2012 all-around title. She received criticism for not placing her hand on her heart during the anthem, her hair and for failing to smile enough. She's even been called "crabby Gabby". Beach volleyball has always been a controversial Olympic sport. In 2012, then-London Mayor Boris Johnson talked about "semi-naked women playing volleyball in the middle of the Horse Guards Parade immortalised by Canaletto... glistening like wet otters". At Rio, the talking point was around Egyptian athlete Doaa Elghobashy wearing a long-sleeved uniform and hijab. The internet was quick to point out Elghobashy chooses to wear the hijab. She told AP "I have worn the hijab for 10 years… It doesn't keep me away from the things I love to do, and beach volleyball is one of them." Chinese swimmer Fu Yuanhui has been one of the stars of Rio, thanks, in part, to her incredibly meme-worthy reaction to finding out she had won a bronze medal. But the swimmer also won hearts when she apologised for not swimming well enough. Her reason? She had her period. "It's because my period came yesterday, so I felt particularly tired." "Someone accused Fu of lying, asking how she could have gone in the water on her period," the BBC reports Weibo user Dvingnew as writing. Her statement has opened a door to an important conversation. A shout-out to Andy Murray though. The tennis player was speaking to the BBC's John Inversdale who said, "You're the first person ever to win two Olympic tennis gold medals. That's an extraordinary feat isn't it?" Murray replied, "Well, to defend the singles title. I think Venus and Serena have won about four each, But haven't defended the singles title before, so yeah, it's obviously not an easy thing to do." * This story has been edited as it incorrectly suggested Beatrice Faumuina won gold in an Olympics at Athens in 1997. She did win gold at the Athletics World Championships in Athens that year.